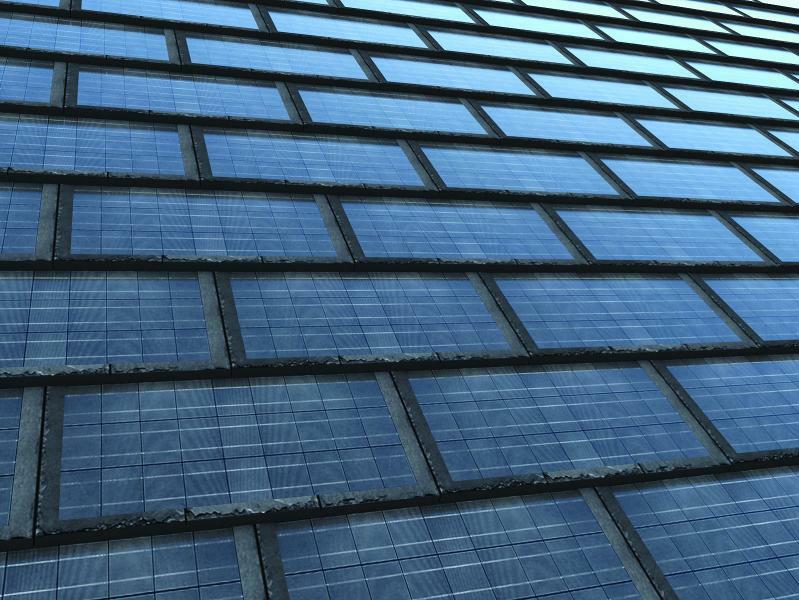 A new manufacturer is upending the way the building industry approaches solar roofing. The company’s roof tiles are constructed from a layer of heat-resistant, closed-cell foam coated with a durable geopolymer. According to the company, the material improves solar performance and insulation by keeping roof temperatures down during sunlight hours. Traditional blue and black silicon solar cells have an average efficiency rating of around 22 percent, but they can experience a functionality loss of 5 percent for every 20 degrees the roof surface rises above 120° F. On a typical 88° F day, traditional roofing materials can collect enough solar heat to reach up to 150° F by midafternoon, losing energy production potential during the sunniest part of the day. 3 In 1 Roof tiles rise and fall in temperature at nearly the same rate as the surrounding air. The result is a solar system that won’t lose efficiency unless daytime temperatures are consistently above 110° F. The company says its tests show the tiles have a 23 percent greater efficiency on an 88° F day than their traditional competitors. The tile material also blocks the sun’s rays from entering attics, improving building envelope performance. This can help prevent heat-related building damage, such as dry-rot, condensation, mold, and energy loss. “By combining solar modules, a dense foam core, and an advanced exterior that deflects potentially damaging ultraviolet rays, 3 In 1 Roof tiles will forever change the role a roof plays in commercial and home design efficiency,” Bellavia says. The final piece of the 3 In 1 Roof package is material durability. Solar cells are integrated directly into the foam and polymer core, stabilizing the fragile glass without the need for cumbersome racks. Designed for the hurricane-level winds that occur in south Florida, where Bellavia lives, the tiles have a 200-plus mile-per-hour wind rating. They also have a Class A fire rating and won’t crack underfoot, the company says. Tiles from 3 In 1 Roof can be specified as solar-producing or non-solar, and the two types can be combined on a project for a customized level of power production and insulation. Solar cells can also be switched out as the technology progresses. 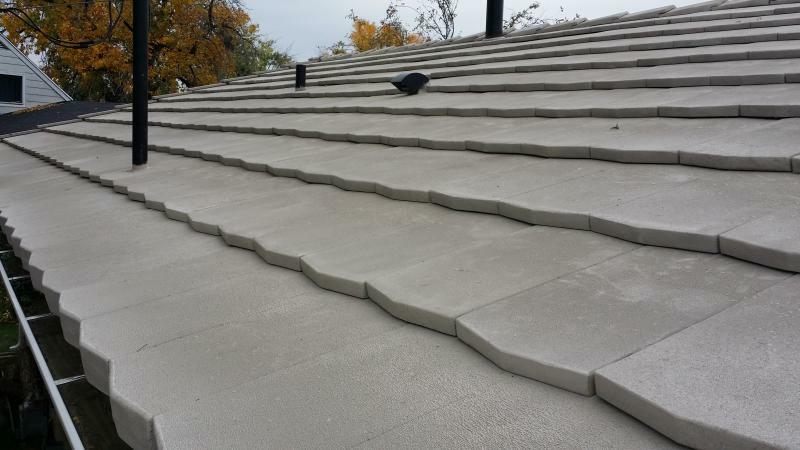 With a complete system weight of less than 250 pounds per 10-foot square, the tiles can be used on any new construction or retrofi t project that has a roof pitch of between 4/12 and 12/12, the company says. Roof tiles are available in 12 colors and four styles, including modern, traditional, slate, and shake looks. This story originally appeared in the Winter 2019 issue of PRODUCTS. See the print version here. How would they perform in colder climates like cities along the Canadian border?